Amazing feeling! It travels you in time. You can almost the gladiators. Escape the agonizing queues of tourists trying to get entrance to Rome’s most iconic landmark and enjoy this priority access to the Colosseum! Explore one of the most magnificent structures of ancient times where thousands of epic battles have taken place for fame, sport, and glory. See the Colosseum’s underground chambers embedded with rich history in every wall before making a stop at the Roman Forum. This rectangular plaza was where the marketplace was located, considered to be the center of ancient society, and the very site of many important Roman government buildings. Also included in the package is a fast track admission to Palatine Hill. Experience climbing up the hill where Rome was founded and explore the ruins of Rome’s original inhabitants. 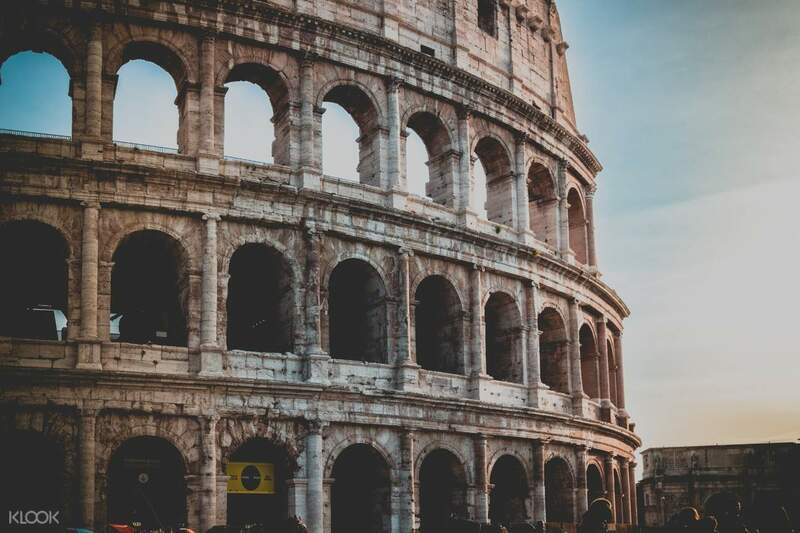 Skip all the long lines and make your trip to Rome more efficient and convenient with this Colosseum priority entrance ticket! 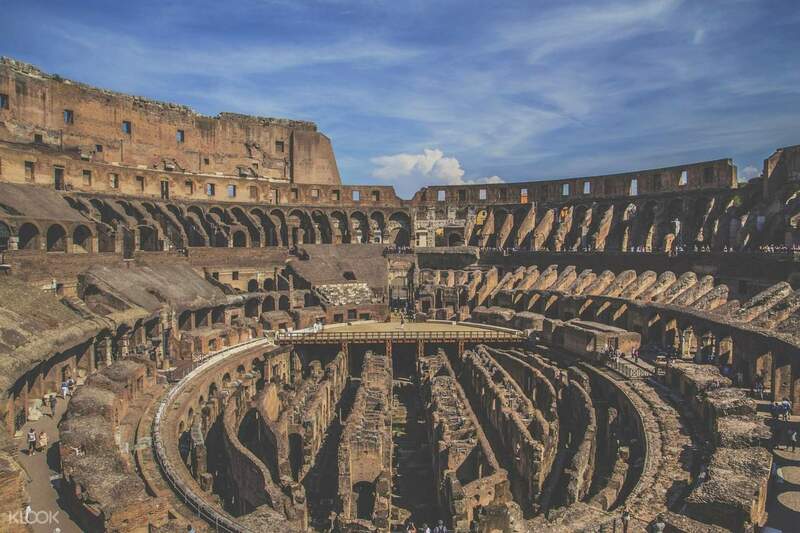 Experience the magnificence of the Colosseum with ease using your skip-the-line ticket! As simple as dlashing your ticket, in my case i printed out the e-ticket, and the guard lead you to the ’reserved’ lane. Colosseum is a place full of history, if you want to know about every bit of the corner, i suggest you go for the guided tour, however if you just want to experience the place, this ’cut the q ticket’ is good enough :) your choice.. As simple as dlashing your ticket, in my case i printed out the e-ticket, and the guard lead you to the ’reserved’ lane. Colosseum is a place full of history, if you want to know about every bit of the corner, i suggest you go for the guided tour, however if you just want to experience the place, this ’cut the q ticket’ is good enough :) your choice..
Great skip the line. People who had tickets had a different line going into the colloseum so you saved a few minutes. You just showed the voucher and they can scan it immediately. However, when you get into the Roman Forum, there’s just one line so you had to wait like everyone else. Great skip the line. People who had tickets had a different line going into the colloseum so you saved a few minutes. You just showed the voucher and they can scan it immediately. However, when you get into the Roman Forum, there’s just one line so you had to wait like everyone else. Per previous review and the instruction of the tickets, I need to be there 30 mins before for security. However, when I did so, the staff said I can only enter at 10am while my ticket is 10:05am.....I guess it really depends on the number of visitors of that day. So be prepare to be there early, and the waiting time that you need to bear. But overall still recommend to get the tickets in advance so can plan for the time better if your itinerary is tight. Per previous review and the instruction of the tickets, I need to be there 30 mins before for security. However, when I did so, the staff said I can only enter at 10am while my ticket is 10:05am.....I guess it really depends on the number of visitors of that day. So be prepare to be there early, and the waiting time that you need to bear. But overall still recommend to get the tickets in advance so can plan for the time better if your itinerary is tight. The colosseum is an architectural marvel, beautiful from the outside and the inside as well. 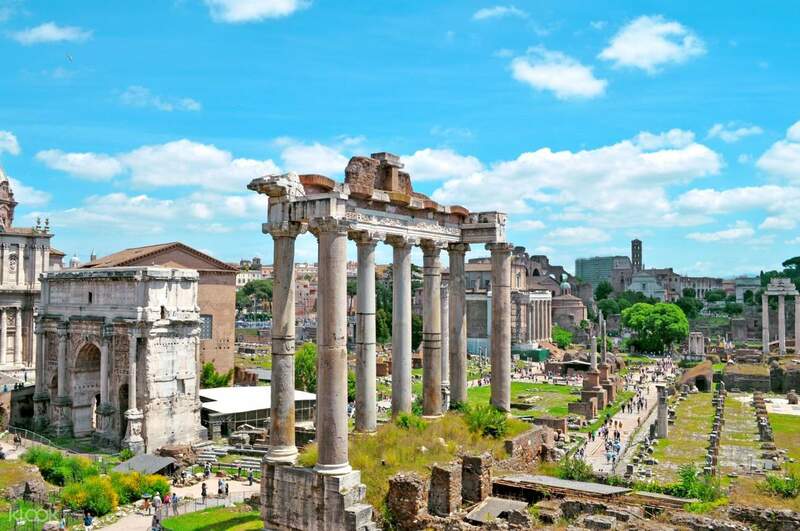 The ruins of the forum and Palatine hills are a surreal travel back in time. Skip the line tickets were invaluable at the Colosseum. Skip the line including a separate line for security. For the Palatine hills, there was no separate line for security, so did still take some time. The colosseum is an architectural marvel, beautiful from the outside and the inside as well. 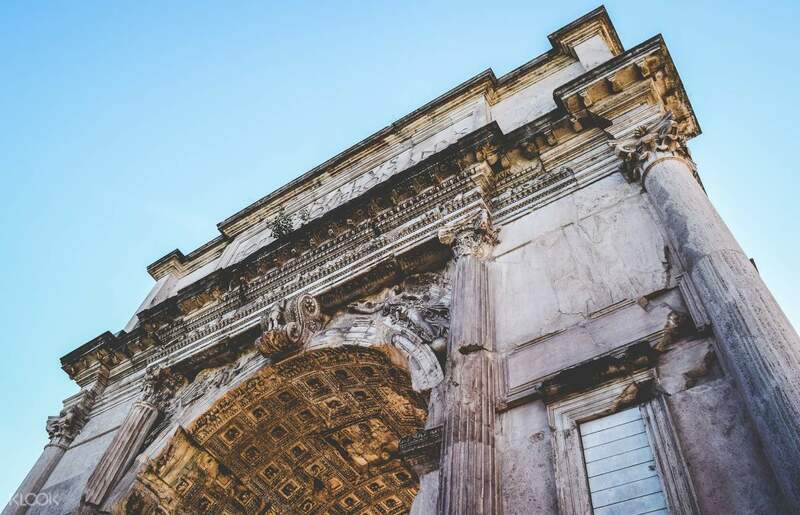 The ruins of the forum and Palatine hills are a surreal travel back in time. Skip the line tickets were invaluable at the Colosseum. Skip the line including a separate line for security. For the Palatine hills, there was no separate line for security, so did still take some time. It’s great that you don’t have to wait in line to buy a ticket. However you will have to select a time slot when booking which your preferred time may be full. However Klook staff is very helpful, they contacted me to reschedule my time ticket within a working day. It’s great that you don’t have to wait in line to buy a ticket. However you will have to select a time slot when booking which your preferred time may be full. However Klook staff is very helpful, they contacted me to reschedule my time ticket within a working day. This is a legit fast track/skip the line entrance ticket. It will save u a lot of time as you do not need to queue. Price wise is about the same as you purchase locally. So it’s worth it! This is a legit fast track/skip the line entrance ticket. It will save u a lot of time as you do not need to queue. Price wise is about the same as you purchase locally. So it’s worth it! Tickets allowed for quick entry to the Colosseum, which makes it much better than the Roma Pass as holders for that had to queue still. However, queueing for the Roman Hill and Palantine Hill was still required. Tickets allowed for quick entry to the Colosseum, which makes it much better than the Roma Pass as holders for that had to queue still. However, queueing for the Roman Hill and Palantine Hill was still required. Fast track access to colloseum. Choose the time slot that you want during purchase and turn up at that time. Roman forum and palatine hill is just next door. Fast track access to colloseum. Choose the time slot that you want during purchase and turn up at that time. Roman forum and palatine hill is just next door. Colosseum and Roman Forum is a must in Rome. You can’t miss them. Good thing is you don’t have to wait in a long queue ‘cause you don’t have too much time. It will take you whole day to finish Colosseum and Roman Forum. Colosseum and Roman Forum is a must in Rome. You can’t miss them. Good thing is you don’t have to wait in a long queue ‘cause you don’t have too much time. It will take you whole day to finish Colosseum and Roman Forum. Entering Colosseum is swift and easy with the mobile tickets. There is long queue to the ticket box hence I would definitely recommend anyone to buy the skip the line ticket. Entering Colosseum is swift and easy with the mobile tickets. There is long queue to the ticket box hence I would definitely recommend anyone to buy the skip the line ticket.